I woke in the morning six years ago with acute diplopia. There was no previous sign of double vision and no associated pain. I had a brain MRI that showed no abnormalities. A neuro-ophthalmologist tested my thyroid and for myasthenia gravis. Both tests showed no abnormality. I have also been treated for ocular migraines by a neurologist. The left eye noticeably tends toward the center giving me a cross eyed appearance. I had double vision upon waking up in the recovery room, after my gallbladder surgery. I went to the emergency of our nearby eye clinic and they diagnosed me with fourth nerve eye palsy. That was four months ago and I still have it! I can see fine straight ahead but when I look to the lower left, I see double and when I tilt my head to the right I see double. I still cannot drive. 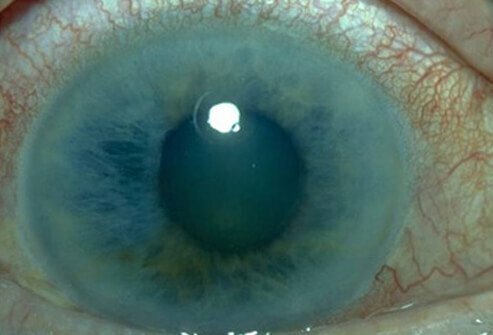 The eye specialist said it could take up to six months to go away and if it doesn't, he will operate on it. I wish I had never had the surgery! I had a stroke and have had double vision for 8 months. I'm going to see an eye surgeon. I understand it can be fixed. Thank goodness. I had bad headaches mostly at night for a couple weeks and now my headaches are a little better but I have double vision all of the time. I cannot read, drive or do anything.